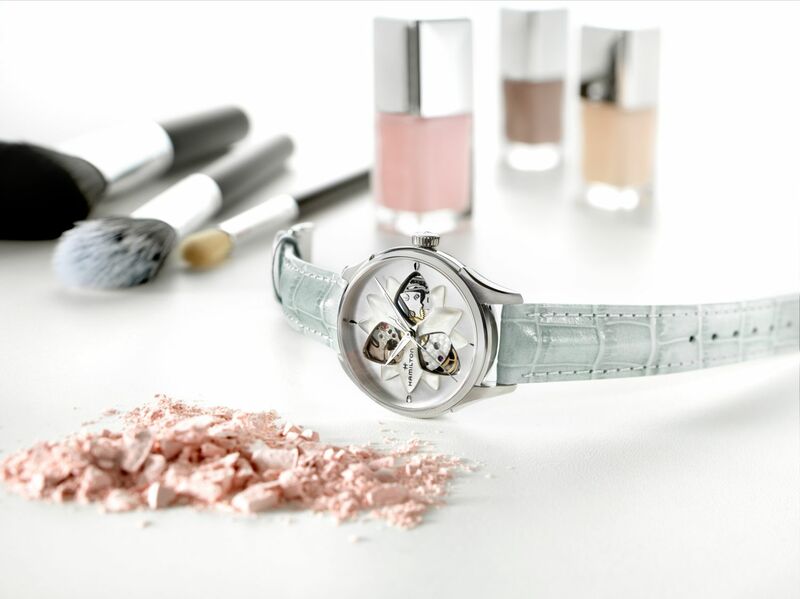 In 2016, the American-founded brand with a universal appeal boldly proclaims its passion for offering women timepieces made specifically with them in mind. With the transparency of a perfect love affair, the Jazzmaster Open Heart Lady exudes a magical sense of suspension and depth, leveraging exceptional mother-of-pearl craftsmanship. Here, a raised mother-of-pearl lotus takes center stage on an iridescent backdrop, giving the effect of a fresh, light 3-D flower floating on water. This is artfully developed with the use of a soft linden green or white leather strap featuring a super practical easy-click system, or a gleaming five-row metal counterpart picking up the sheen of the mother-of-pearl. In another drive to provide a better-rounded ladies’ offer, and meet 21st century women’s need to be on time and on target, Hamilton goes the extra mile down the Railroad track with the launch of a new ladies’ version of its iconic series. The RailRoad series takes the American brand right back to its proud turn of the 19th century roots when it first earned the title of “The Watch of Railroad Accuracy”. It was relied on to supply both railroad staff and passengers across North America with accurate and reliable pocket watches. The designers of today’s Hamilton RailRoad wristwatches have transformed this classic 1930s style into a modern day, elegant look with an even smarter, sharper sartorial edge. 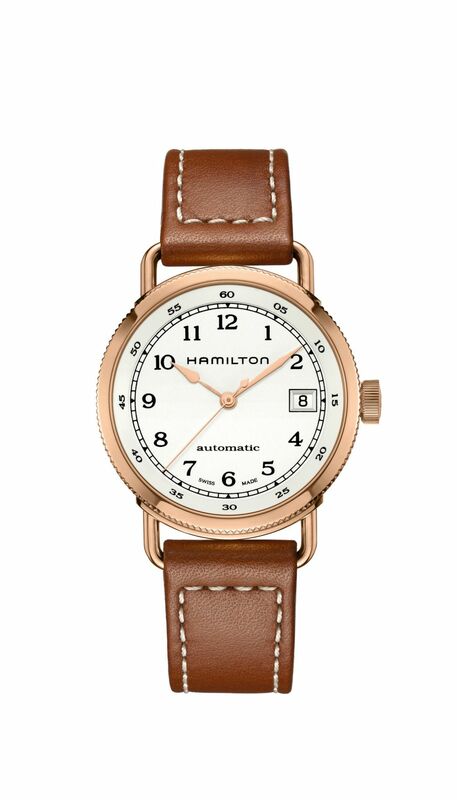 2016 brings a new Hamilton RailRoad Lady champagne-toned iteration of the model rolled out in 2015, available in a 32 mm automatic version or 28 mm quartz counterpart. Sunbeam indexes radiate out from a central ring unusually lined with glittering diamonds. They mark off five-minute intervals on the distinctive outer railroad track. The luxurious sparkling ‘flavor’ of the champagne-colored dial pervades this modern interpretation from a brand that has always been a locomotive in the field of ladies’ watchmaking. 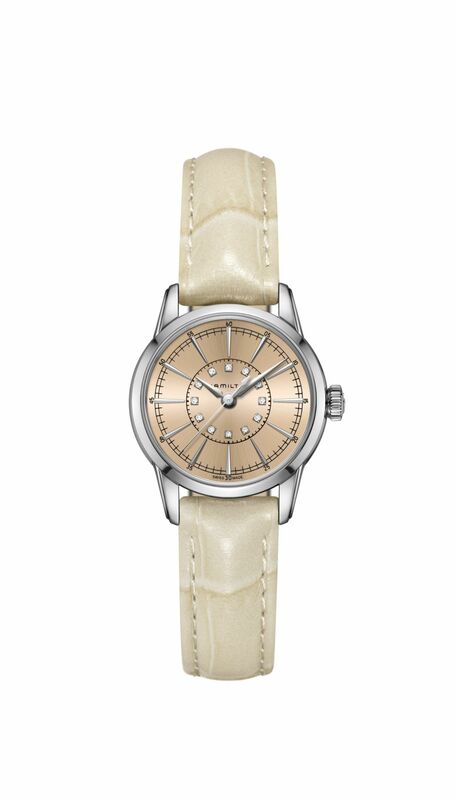 This bubbly mood extends to the very tips of the glossy light beige strap complete with easy-click system and featuring a domed, opulently padded feel. It is also possible to opt for the warm contrast with the cool gleam of a stainless steel bracelet. Giving a feminine twist to its origins and history, Hamilton is enriching its Khaki Navy line with a smaller 36 mm Khaki Navy Pioneer Lady dedicated specifically to women. This is a natural extension of the highly successful iconic line rooted in Hamilton’s close collaboration with the American Navy, for which the brand helped develop navigational tools during World War II. Most famous among them were the Hamilton marine chronometers, featuring a layout that has inspired the dial of this model. 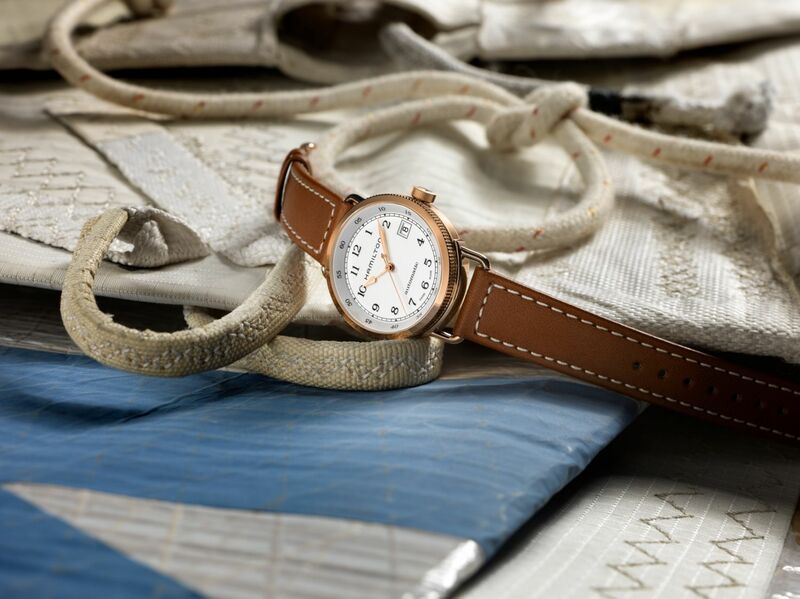 The Khaki Navy Pioneer Lady offers a range of refined details to suit the most discerning feminine tastes. The collection’s distinctive good looks are on full show in this model with its trim stainless steel case (with or without a rose PVD coating depending on the version) framed by a finely serrated bezel featuring a Clous de Paris hobnail motif. 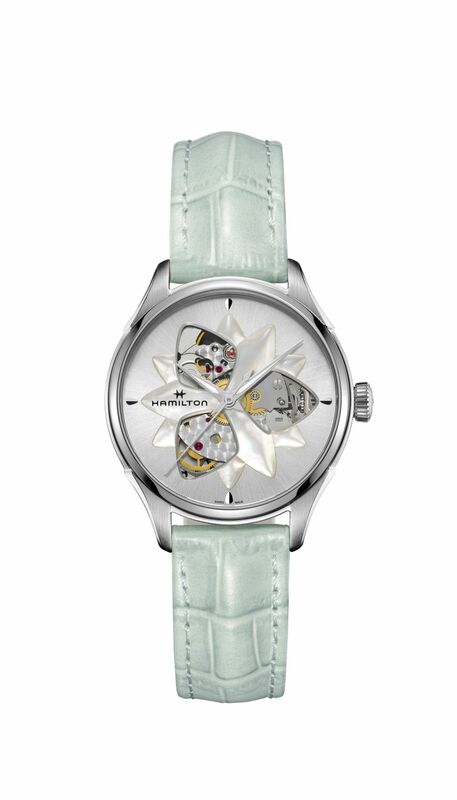 And because Hamilton knows women also enjoy mechanical watchmaking, the bridges of the H-10 automatic movement visible through the open back are beautifully circular-grained. The tone-on-tone effect of the opaline-finish silver-toned dial is offset by flame-blued or rose gold-plated hands and a classically elegant dark or light brown leather strap. The latter is secured to the wrist by signature dipping bracket-shaped lugs ensuring a perfectly smooth feel on the wrist. Exuding the singular retro charm of the Khaki Navy Pioneer Lady interpreted in a uniquely feminine way, this finely structured timepiece finds its natural place in the distinguished line-up of enduring Hamilton classics.